The landing page is a marketer’s best friend. Right after the offer comes the offer landing page. ✗ Often outside of the marketer’s control, when or if it can be launched or updated. ✗ A real clunk-fest on mobile. ✗ Easy for a user to abandon. ✗ Takes a real effort to make the page engaging. 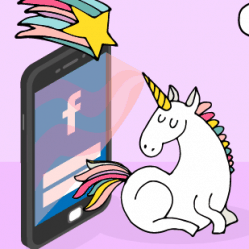 So while we’re totally dependent on them, traditional landing pages are donkeys. 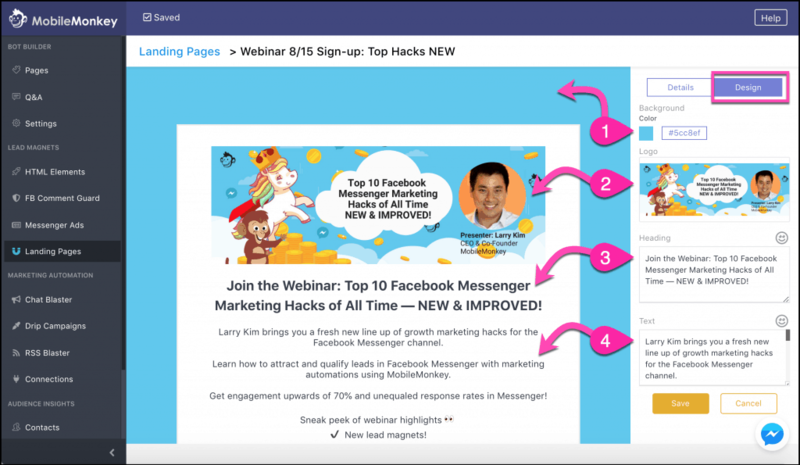 Today I’m going to show you how to take back the power of landing pages through Facebook Messenger marketing. Here are some Facebook Messenger templates. 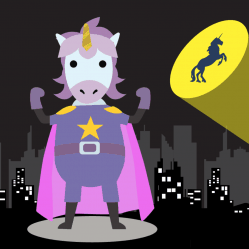 MobileMonkey landing pages are golden, shining unicorns with magical powers! ✔ Sends users to Facebook Messenger. ✔ Enables opt-in to follow-up messaging. ✔ Gives businesses rich customer data you keep! ✔ Always the ultimate in mobile-friendly. ✔ Sends users to a familiar chat interface. ✔ Visual content builder, no coding required! 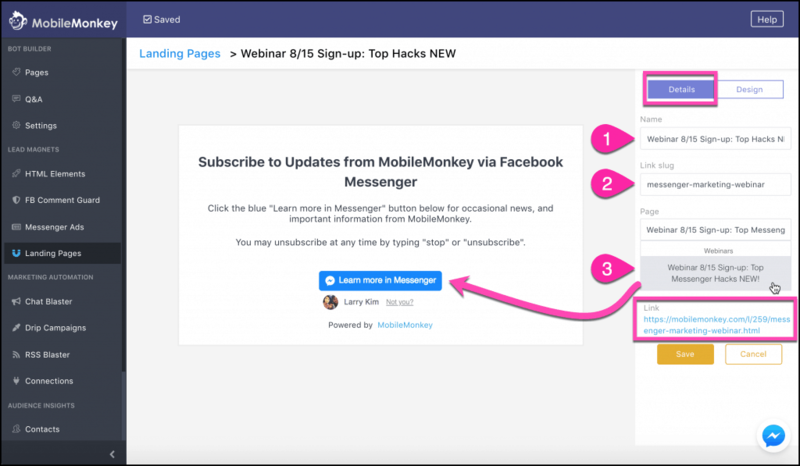 MobileMonkey landing pages for Facebook Messenger give you everything you need from a landing page in an interactive chat interface, while simultaneously growing your contact list. That’s double the benefits from one landing page. Landing pages are the newest addition to the arsenal of lead magnets for your Messenger chatbot. Lead magnets are ways to connect with more customers in Facebook Messenger. Here are a few chatbot templates. 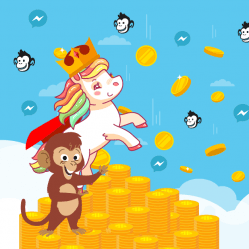 Use MobileMonkey hosted landing pages to drive more people to your chatbot — a mobile-friendly, conversational, lead-generating interface. See a MobileMonkey landing page for yourself. 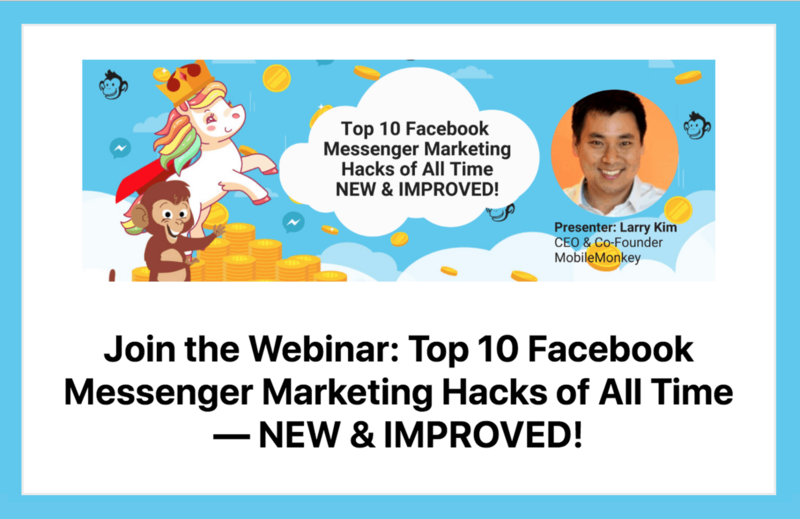 Visit this MobileMonkey landing page and sign up for my webinar next week where I’m sharing 10 new Facebook Messenger marketing tactics for advanced chatbot marketers. This is how you can build a landing page for your chatbot without coding in MobileMonkey. This new feature is easy to implement without any coding. No need to ask for help from others to develop or launch! Choose the chatbot the button links to. Use the chatbot builder with drag-and-drop widgets to create the chat page you’re sending visitors to. I detail building a chatbot in “How to Build a Facebook Messenger Chatbot in 5 Minutes“. Go to “Pages” in the chatbot builder. Create a group to hold all the pages of this chatbot. Create a new page with a descriptive name. Add content to the page with widgets, like text, images, attribute-saving quick questions and forms, and animated GIFs. Add Q&A keyword triggers for your chatbot if you want to serve this page when someone uses a specific word with your bot. Use the “Test this page” button to send the page to yourself and see how it works. Then, if you’re sending customer data from MobileMonkey to another application, create a connection with Zapier. Read “How to Do Webinar Sign-ups with a Messenger Chatbot” for exactly how we created the webinar sign-up chatbot with webinar platform integration. 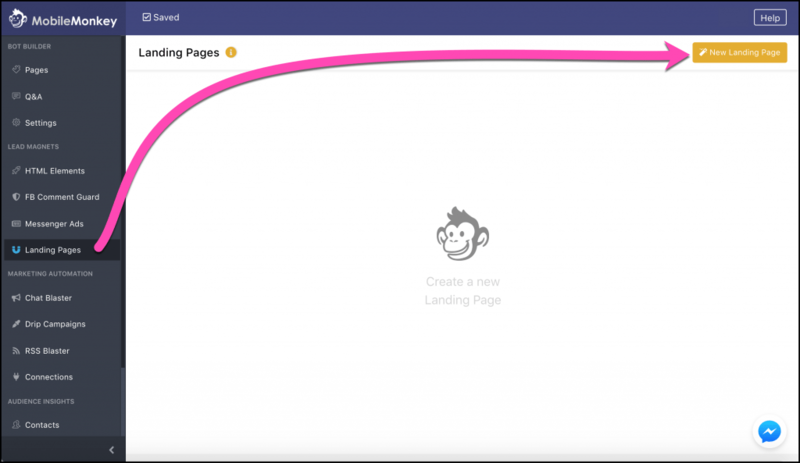 The landing pages builder in MobileMonkey will be the easiest landing page creator you’ve ever used. You just name the page, pick the chatbot you built in Step 1 for the button, upload your image, insert your text, specify the URL slug you want and you’re done. One more time in slow-mo. There are two areas you’ll edit for landing pages: page details and page design. Give the page a descriptive name. Customize the link slug for the page. You’ll see this in the landing page URL. Choose the chat page the blue “Learn more in Messenger” button will link to using the page drop-down selector. You’ll find the landing page URL link here. After you save your changes, go to the landing page design. Choose a custom color for the background field. Upload a logo or image for the top of the page. 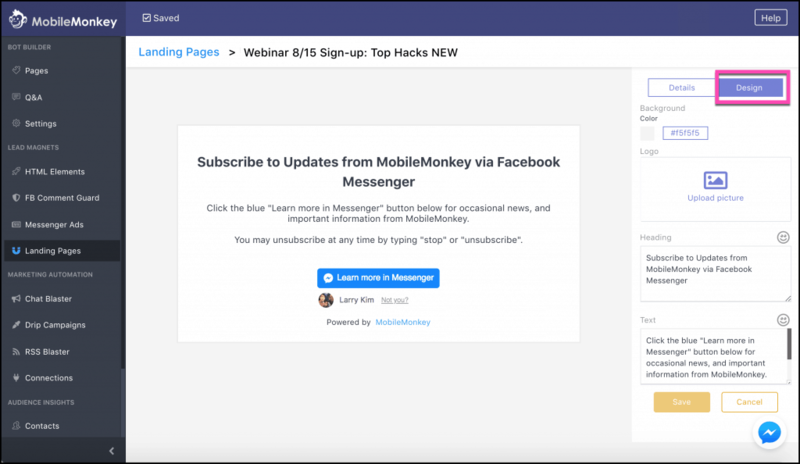 And that’s how you build a MobileMonkey landing page that sends people to interact with you on Facebook Messenger. All that’s left to do is share and promote the page with the URL. See what the finished landing page looks like here. Clicking the blue button brings the reader to the chatbot to sign up for our best-ever Facebook Messenger marketing webinar. The link to this landing page is a URL like any other. Are you announcing and inviting folks to sign up a webinar like we are? Are you announcing a special promotion or sale ? Are you inviting people to take a customer survey? Never again be dependent on someone else to get your landing page up on the site! Not only do you have the MobileMonkey landing page to share, but you also have control of the landing page, its URL, image assets, copy and conversion elements. 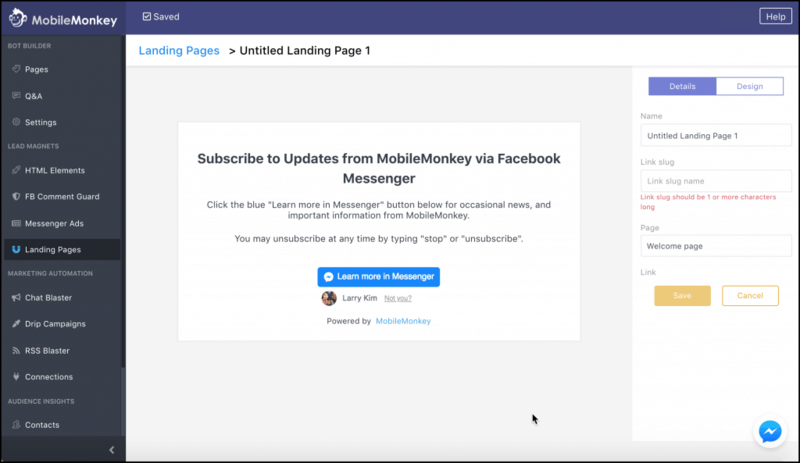 MobileMonkey landing pages are the easiest way to send people to interact with you on Messenger. 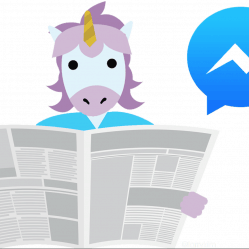 Give a Facebook Messenger chatbot landing page a spin for yourself. Then create your own landing page with MobileMonkey and link to it from anywhere. From emails, ads, social and blog posts, give users the opportunity to sign-up for your offer as well as opt-in to updates from your page. 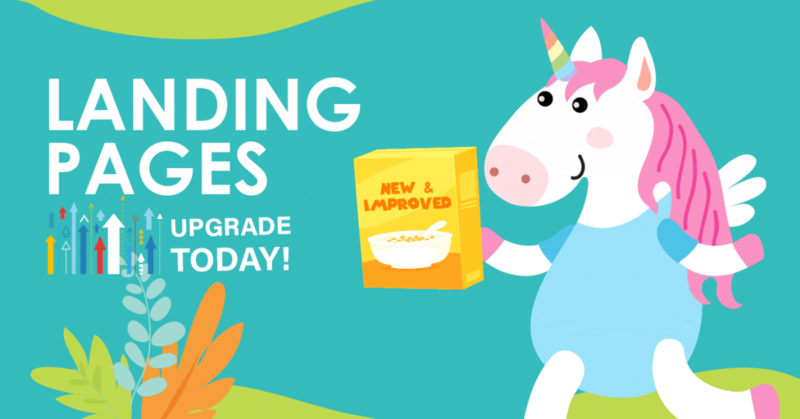 When you master these advanced marketing moves, you’ll be eating unicorn growth hacks for breakfast. I need a service like the one that you are offering. What is the next step? Is it tooexpensive?